Any real estate agent knows their business is based on referrals. Success is built on relationships – and our ability to make lasting ones is what creates a steady stream of referrals from past clients, business partners and our network of professional contacts. But how do you actually measure the power of your sphere of influence? How likely are you to recommend me to your friends & colleagues? Simple, easy to understand, and extremely powerful. Clients are asked to answer the question using a 0 -10 rating scale, with 10 being extremely likely to recommend and 0 being not likely to recommend. Everyone answering between 0-6 is classified as a Detractor, 7-8s are Passives, and 9-10s are Promoters. Detractors are people that are unhappy with your business. Not only will they be unlikely to return or send you referrals, but they can also harm your reputation by writing bad reviews on Zillow or Yelp. While Passives are happy with the service you provide – they’re unlikely to promote you or send you referrals. They’d be willing to switch to one of your competitors, and while satisfied with you as a real estate agent – they aren’t overly loyal and they aren’t helping your business grow. And finally – your Promoters. These are clients that rate you as a 9 or 10. 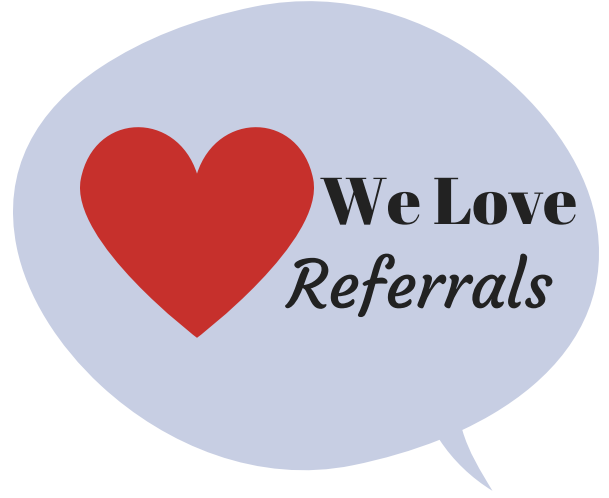 They’re repeat clients, they tell others about how great you are, and they actively send referrals your way. Your Net Promoter score is the percentage of your clients that are Promoters minus the percentage of Detractors. So the number could range from -100 if all of your clients were Detractors to +100 if all of your clients answered 9 or 10. What’s key here is that to grow your business – you need Promoters. Imagine you have 2 clients: John & Jane. You helped John find his first home. He thought you did a great job, and loved that you found him the perfect bachelor pad with a great yard for entertaining. Then there’s Jane – a recent retiree looking to downsize. You help sell her family home at a price that gives her lots of flexibility for retirement. John posts an album of his new home on Facebook – tagging you as his REALTOR® and thanking you for doing such an awesome job. Turns out he has a lot of friends who are also looking to buy their first home, and he refers them your way. While Jane felt you did a good job – she’s moving cities and quickly gets caught up in packing and finding her new home. She doesn’t bother leaving you an online review or sending any referrals – she knows there’s lots of great agents out there. Moral of the story? John is a Promoter – he’s championing your business and helping you grow by sending referrals your way. While Jane was happy with your work as her seller’s agent, her value as a client was singular whereas John’s value snowballed with each referral he sent. Whether or not you calculate your Net Promoter Score, it’s an important concept for understanding the power of referrals and how you create create your own self-perpetuating sales funnel. How do you ensure clients become your Promoters?? Being a REALTOR® is a tough job. You work long hours, face huge market swings and are constantly competing for clients. 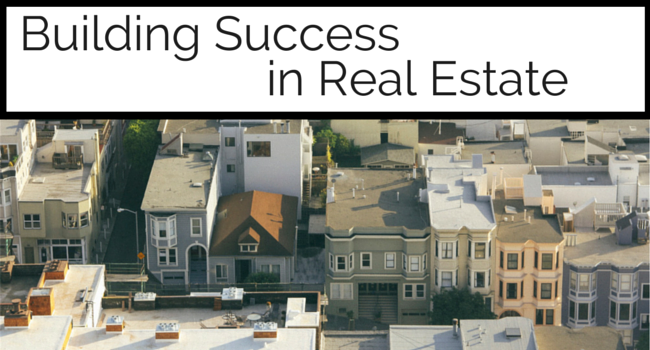 So how can agents rise above and have long-term success? It’s about the 3 R’s: Reputation, Repeat Clients & Referrals. As a REALTOR®, your reputation is the backbone of your business. 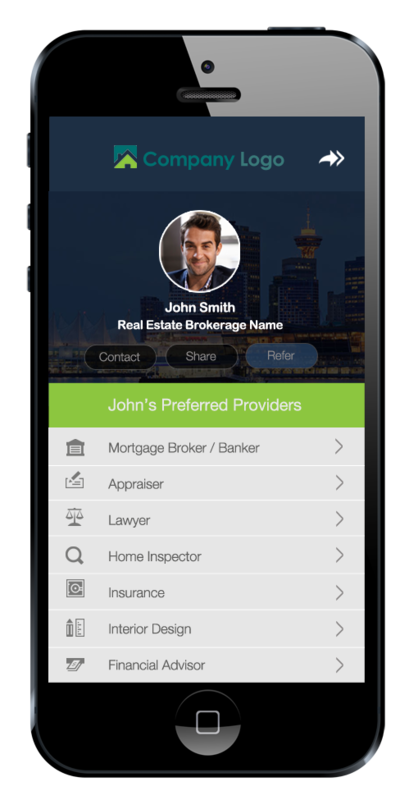 It’s dependent on your sales history, how you approach potential clients, how you foster relationships with current clients and the interactions with your professional network – like mortgage brokers, lawyers, appraisers and home service pros. Think of every business dealing as a chance to grow your reputation. Make sure you’re also monitoring your reputation on sites like Zillow, Yelp, Trulia & RankMyAgent – positive reviews are great for generating word of mouth! Securing repeat clients is big business for any real estate agent. While the average REALTOR® has 21% of their business from repeat clients – those in business 16+ years average 41% of business from repeat clients. And that’s not small numbers when you realize that securing a new client can cost 7X more than retaining a past client. Whenever you spend time prospecting, make sure that you’re also allocating time to stay connected with past clients. Doing a quick check-in call, sending a market update report, having a client appreciation event or offering home maintenance tips are all simple ways to stay top of mind. For the average REALTOR® – referrals account for 21% of their business. Driving referral leads means you can minimize prospecting time, decrease advertising costs and generate a steady stream of highly qualified leads. To drive referrals make sure you’re providing client value even after you close – like sharing your list of trusted service providers or having an affinity program to past clients by offering discounts from your favorite local businesses. Any successful real estate agent knows that their job goes beyond processing a transaction – it’s guiding clients through the entire buying & selling cycle. A real estate agent must answer complicated legal questions, give advice on schools, ensure clients get pre-approved, arrange home appraisals, bring in contractors and even make move in day stress free. This long list of responsibilities impacts a client’s experience, and ultimately an agent’s success rate. The truth is that buying or selling a home is a team effort. 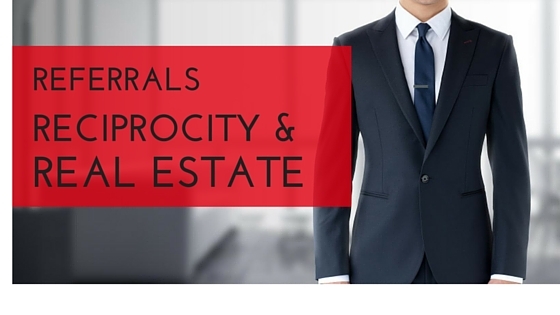 Real estate agents have an intricate web of business connections that they work with – like lawyers, mortgage brokers, appraisers and moving companies. Ultimately, the value of these service providers impacts client satisfaction and gets agents to the closing table. The real estate agent is the connection between each service provider and the client – they’re the center of the relationship and the driving force that ensures buyers and sellers are successful. For real estate agents, this means that strengthening your professional referral network is critical for becoming a top producer. Now, imagine you’re a buyers agent. You’ve just met Jenny & Jon – a recently married couple looking to buy their first home. First things first – they haven’t been pre-approved for a mortgage. You refer them to Ben – your trusted mortgage broker that specializes in working with first-time buyers. Before you can even start to help Jenny & Jon find a home, your referral to Ben ensures your clients can afford a home and that you’re looking in the right price range. Ben gets back to you – they’ve been pre-approved. Great! The first house you show them is a modern 4 bedroom. It mainly fits their wish list, but Jon & Jenny don’t love the location. Next, you tour a house that’s in their desired area but needs significant work. To get a better idea of the reno costs, you recommend touring the house with your trusted contractor. After he discusses the work that’s needed, Jenny & Jon decide it’s too much. You then find a home that you think might be just right for Jenny & Jon – it has good commuter routes and only needs a few small repairs. Jenny & Jon love it. Time to make an offer! You refer Jenny & Jon to your home inspector and put them in touch with a real estate lawyer. The house passes the inspection and Jenny & Jon’s offer is accepted! With the stress of buying a home, they really appreciate you guiding them every step of the way. Turns out, they hire the contractor that you introduced them to to renovate the basement on their new home. As the story of Jenny & Jon shows, a strong professional network enhances any client’s experience and supports your job as a real estate agent. It’s these relationships that get you to the closing table, ensure every aspect of the real estate transaction is taken care of and leads to more referrals. How do you manage referrals with your vendor network?? Developing & nurturing leads are key skills for any real estate agent. But, the truth is that the majority of an agent’s leads come from their existing client base – 42% of home buyers find their agent based on a referral from a friend or family member and 12% used the agent previously. 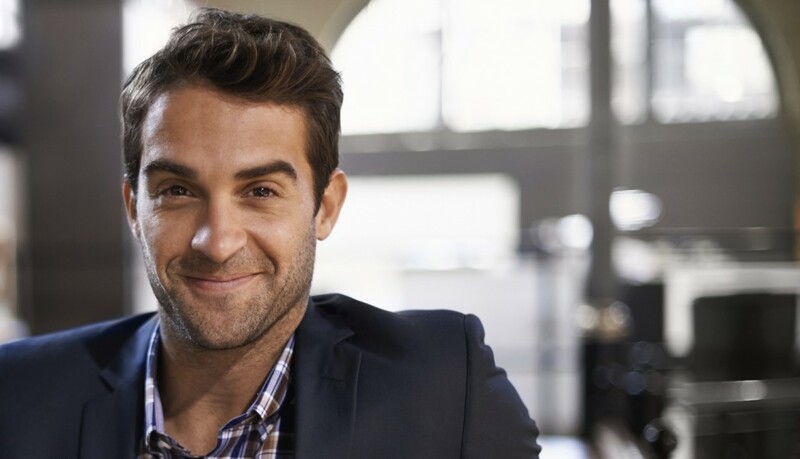 Agents that can capitalize on their current client base reap the benefits. First, they’re able to scale marketing efforts quickly and can reduce time & money spent on advertising. They also have better conversion rates since referred clients are less likely to shop around for an agent. However, growing referrals and repeat business doesn’t happen automatically. So, if you’re wanting to spend less time cold calling, here’s our top tips for driving leads from your current client base. After you finish working with a client, whether the deal was successful or not, thank them and let them know you appreciate their business. If the deal was successful, send a personalized letter and closing gift – like a gift certificate to a local restaurant near their new home. Stay top of mind after deals have closed with regular communication. Remember, you shouldn’t be selling new homes to clients that have recently purchased. Instead offer home maintenance advice, news about local events & attractions, or details about the local real estate market – it’s reassuring for recent buyers to hear that their purchase was a sound financial decision. If you want past clients to refer you to their friends and family, personally check-in with them after the deal has closed. Keep in touch around move-in day, anniversaries of their home purchase/sale and holidays. Sending a card for the anniversary of their closing shows you’re invested in each client and were attentive when you worked together. Your social media presence is great for staying in touch with past clients. To save time, schedule posts for the upcoming week during a slow morning – this way you won’t feel so overwhelmed with social. As great of an agent as you are, referrals won’t just automatically roll in. Despite 83% of past clients stating that they’re willing to make a referral only 29% actually follow through. Remind past clients in your digital and print communications that you appreciate referrals. Then, make it simple for them to send a referral by adding referral forms to your website and Facebook page. How do you win repeat business and referrals??? A few months ago, I wrote a blog post about the benefits of niche marketing for real estate agents. Most top producing agents adopt a niche marketing strategy because it establishes them as an expert and reduces fatigue from being spread too thin. Plus, owning a niche is great for referrals. So whether you establish a niche by neighborhood, property type or client type, here’s our advice on how you can dominate your niche. Establish your presence as a niche expert by targeting your blogging and social media efforts. For example, if you work with first time buyers you can offer advice on pros & cons of renting vs. buying, steps to secure a mortgage, neighborhood profiles of popular areas for first time buyers and home maintenance tips. Providing great online content that’s relevant to your niche will establish your credibility and help potential clients connect. As a real estate agent, you’re a valuable source of knowledge about the local real estate market, home trends and buying & selling property. Giving market advice for your local paper, community newsletter or radio show is great for showing your expertise. Plus, local journalists are always searching for stories! An agent’s client list is directly proportional to the size of their network. Being involved in business associations, like your chamber of commerce or professional networking groups, is great for driving referrals from business contacts. You can also connect with potential clients and establish yourself as the niche expert by being involved in community associations and volunteer groups. For example, if you focus on homes in one neighborhood, get involved in the neighborhood’s community association. What success have you had with niche marketing? Sick of cold calls? Door knocking? Chasing unqualified internet leads? I’m always surprised to hear from sales professionals that they hate these prospecting methods but are still spending time on them. While there are so many strategies for building a client list, none are as effective referral selling. Referral selling is when you leverage your client list and professional network to acquire new clients. It’s basing your sales funnel on relationships, instead of increasing advertising budgets. Referral selling has the ability to drastically improve your closing ratio – a referred client is 4X more likely to close – but it does require a few prerequisites. So if you’re ready to increase referrals, here’s our advice on adopting a referral selling mentality. If you want to increase referrals, the first step is providing an awesome client experience. Think of referrals as a constant business development strategy – not a one-time sales tactic. Developing networking and relationship skills should be center to your sales training. Like any sales or marketing effort, you’ll need the infrastructure in place to be successful. Have a simple, easy to use method for tracking referrals and keeping in contact with your referral network. Start tracking metrics – like new referrals, time to close, and average number of referrals received. Start networking with clients and professional connections. Attend networking events, send newsletters to past & current clients, stay involved with your large accounts, and follow up with contacts that that have sent you referrals in the past. So often sales professionals don’t ask for referrals because we’re afraid of rejection. Getting over this fear is fundamental to increasing referrals. Realize that most clients are comfortable making a referral – and if you’ve perfected #1, you have nothing to to worry about. The new year is always a time for reflecting on the past, planning for what’s to come and gearing up for success in the year ahead. For real estate agents, it’s a time to get organized before the craziness of the summer selling season. Planning your marketing efforts in January will help you to stay on track, measure your progress and exceed your marketing (and selling) goals in 2015. So if you want to increase leads AND sales, here’s a list of 7 initiatives to get you on track. If you want to reach potential buyers & sellers, engage with past clients and network with your sphere of influence you’ll need your contact lists organized. No matter what CRM you’re using, you should be keeping track of names, contact info and a brief history of communications. 90% of home buyers search online for their home. Optimizing your online presence should be the foundation of your marketing efforts. Remember, your website is usually a potential client’s first impression of you – so make it memorable. While 3rd party websites like Zillow & Trulia are well-known in the real estate industry, the number 1 search engine is by far Google. See how you rank in local search results for Realtor, real estate agent, homes for sale, etc. Then work to improve your rankings with doing keyword research, adding keyword-rich content to your site, setting up a Google Places and Local Google+ page, and creating or claiming your profiles on directory sites. Real estate agents are experts on real estate market trends, home decorating and maintenance, local events and neighborhood profiles. Use a blog to share your knowledge with potential clients and engage with past clients. By blogging on a regular basis, you’ll be seen as an expert and help increase your search engine ranking. Email marketing is crucial for staying top of mind with your sphere of influence. 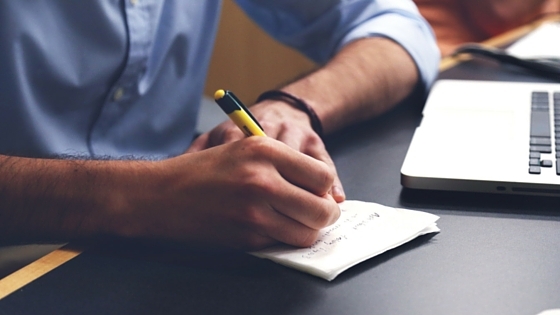 Use January to create a schedule, pick an email template and start prepping your content. For example, you can decide to send your newsletter every 2nd Thursday. Then start building out your content with when local events are going on and home maintenance tips for the seasons. Start a new habit in January with regularly posting on social media and engaging with your followers. Ghost social media profiles can make potential clients think you’re no longer in business. Plus, it’s an easy way to connect with young, first-time buyers and keep top of mind with past clients. Did you know that referred clients are 4X more likely to close? If you aren’t engaging your sphere of influence for referrals, you’re missing out. Create a simple way for managing referrals (like getting a QuickLinkt account), and engaging with your professional network. 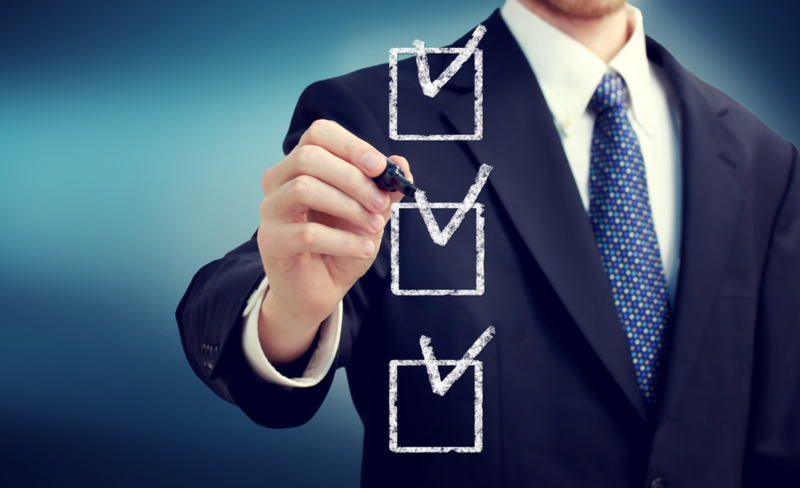 What are your marketing plans for 2015?